Meanwhile, he’s having fun in Hawaii now after being let off and refusing to pay Chicago. The city filed the suit on Thursday after the “Empire” actor missed a deadline to reimburse authorities for the hundreds of hours of overtime put in by the Chicago Police Department (CPD) in the course of investigating the alleged underlying hate crime. The city demanded Smollett pay $130,000, but he failed to do so. The lawsuit also includes rebuttals of claims Smollett made after the alleged January 29 attack. 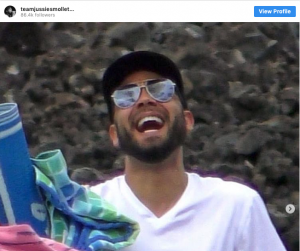 The actor told police that the main attacker “was wearing a ski mask that covered his entire face, with the exception of the area around his eyes, by which [Smollett] could tell the attacker was white-skinned,” the lawsuit says.